Dava Sobel. The Glass Universe: How the Ladies of the Harvard Observatory Took the Measure of the Stars. New York: Viking, 2017. 324 Pg. $30. Dava Sobel has written another wonderful book about women and science. 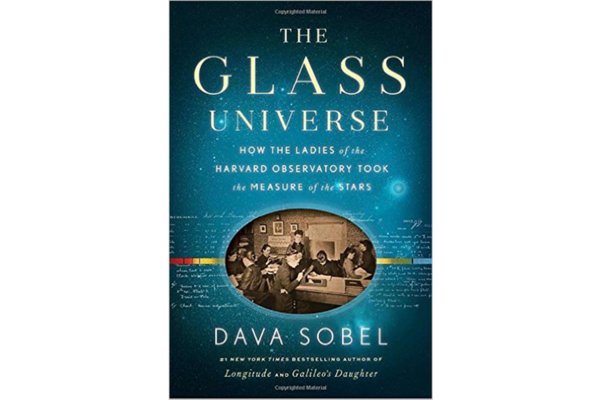 The Glass Universe tells the story of the dozens of women who worked in the Harvard College Observatory in the late nineteenth and early twentieth centuries. She lovingly narrates the biographies and contributions of these hard-working students, college graduates and family members who painstakingly interpreted the images of stars that the male astronomers of Harvard had captured on their glass plates. Sobel sings the praises of the patrons, human computers, spectographers, mathematicians and aspiring astronomers who worked long hours for very little pay to contribute to the growth of astronomy. The story begins with Anna Draper, the generous widow who, in 1883, donated numerous telescopes and the glass plates containing stellar photographs to the Harvard Observatory. The director, William H. Pickering, another great hero of this story, recognized the potential of these instruments and hired as many willing assistants as he could regardless of gender. Dozens of young women applied and moved to Cambridge to begin logging long hours in the Observatory interpreting the glass plate images of stars and then creating new systems of classification and measurements of the stars. The women whose stories Sobel tells include: Willamina Fleming, Antonia Maury, Henrietta Swan Levitt, Annie Jump Cannon and Cecelia Payne. Pickering and his team of “computers”—those individuals capable of high-level mathematical computation—studied Draper’s glass plates, each of which contained an image of a star that had been captured from a long-exposure camera. At first, the images were used to help understand each star’s spectrum, which enabled useful categorization of stars. As the women worked, they were also able to use the plates to calculate the star’s matter and to also calculate the distance between stars. Pickering sent his male assistants (and later Annie Cannon) to the Andes and to California to take more photographs. This required that they lug expensive and sensitive equipment up mountaintops, treat the glass plates with photographic emulsion fluid, and then carefully pack the delicate plates to be loaded onto ships and sent back to Cambridge so that these women could analyze them. Although it took years, Harvard eventually created nearly half a million glass plate photographs that are still archived at the Observatory. Pickering’s ambitious project required great discipline, hard work, and a dedicated team willing to experiment with new methods and to ignore restrictive social convention. He seems to have recognized how fortunate he was to have such talented “ladies” on his staff. Sobel writes beautifully. Her novelized style draws readers into the story and creates connections with each of the individuals she discusses. She frequently quotes letters and diaries and confidently ascribes emotions and an inner life to each of these women, thereby investing readers in their successes and challenges. Sobel describes complex scientific concepts and processes so deftly that any reader can understand them and get caught up in the excitement of these initial discoveries. Clearly, Sobel admires these pioneering young scientists who contributed so much and received so little recognition from Harvard during their lifetimes. Sobel uses a diverse array of sources, including journal articles published from the findings of her subjects. In addition, she consults diaries, letters, lab notebooks, symposia proceedings, and newspaper advertisements written by the men and women who participated in these experiments. Her monograph includes eight pages of images that range from photographs, reprints of the glass plates, and portraits of the “ladies” themselves. This book also contains a useful glossary and timeline. 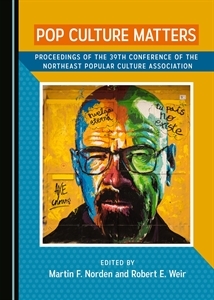 Her meticulous research and inclusion of such personal images and sources contributes to the intimate feel of her text. The Glass Universe is enjoyable and compelling. This book would be perfect for a women’s studies class or a history of science class.